As a child in secondary school, you are instructed to do work and have very little choice in the whys and hows of the matter. This tends to be true in college education as well, although as one progresses, some choices are left to the student. Generally, these are vetted heavily by professors or teaching assistants. This trend generally continues right on into the business world, perhaps even with a bit of regression. New, entry-level hires are usually given pretty specific instructions and trusted very little – all work is checked heavily in the majority of cases. This comes to be commonplace enough over the course of a young life that you don’t think much of it. I know that when I came into the work force, I took it as a matter of course that this would happen and that, in the majority of cases, the people vetting my work and giving me instructions knew what they were doing and I didn’t. I was right about this. This isn’t to say I didn’t have the childhood tendency to be constantly convinced that I was right about things. The cliche of your parents knowing nothing when you’re a high school kid and getting a lot smarter somehow over the next 10 year was true for me. But, this was really only the case in my personal life – in business and academia, I took it as a matter of course that those with more experience than me knew more than me and that I could learn from then. Again, I was right about this. After a while, an interesting thing started to happen. I gained enough experience and confidence after a bit of time in the workforce to actually form my own opinions. Instead of always taking it as a matter of course that reviewers and managers were right about everything, I’d start to think to myself, “I’m not sure that’s the best way to do it.” But, I’d do it anyway, and often this would result in me learning how wrong I had been. But, every now and then, it would result in my suspicions being corroborated, and I discovered that being the junior team member, person whose code was being reviewed, employee, etc, didn’t mean, ipso facto, that I was wrong and they were right. I tend to learn from my peers very quickly and soak up knowledge from them like a sponge. Perhaps this is stubbornness and I don’t like being wrong, so I burn the midnight oil to fix my weaknesses. Perhaps it’s just that I have a good work ethic and lots of natural curiosity. Perhaps I’m a perfectionist. I don’t really know, and I don’t think it much matters. End result of this is that the times when I was right but told to do the wrong thing grew more frequent over the course of time, and that became frustrating to me. I wanted the benefit of the input I was getting, when that input was right, but not to be saddled with it when it was wrong. A cynical trick that I learned pretty quickly was that meetings to evaluate proposals or review work were generally of a fixed length duration. If I brought in a beautiful, well thought out proposal, some of my precious items would be critiqued, and I’d have to compromise on them. But, if I brought in the same proposal with a few obvious mistakes, the duration of the meeting would be occupied by suggestions to ‘fix’ my red herrings, and my proposal/design/code would remain intact as I had originally envisioned it. I’m ashamed to say that this worked exactly as I intended at the time. Meetings went exactly as I planned, and I proceeded without any serious review of my concepts. I had, effectively, swung from naive assumption that others were always right to an equally naive assumption that I needed no input from anyone else. In the end, I made some mistakes that I had to put in long hours fixing and realized later that it was entirely possible someone could have anticipated the blunder that I had missed. Now that I’m too old to know everything, I understand exactly how silly this was. Reflecting back on my hubris years later, I understand something explicitly now that I understood only intuitively back then. What I’ve come to understand is that some people feel that offering feedback/criticism is obligatory in certain environments, whether or not feedback is necessary or helpful. That is, if someone were to present a light switch as a simple, effective solution for turning the overhead lights on and off, these sorts of people would suggest a push button switch or The Clapper, not because it was a better solution but simply because they wanted to put in their two cents. I suspect that there are two main causes of this. The first is that some people very much enjoy expressing opinions, and all matters are subjects for debate. It’s a game of sorts. I have friends that have this attitude, and it can be a great one for driving debates and spurring innovation. It can also be tiresome at times, but it keeps you thinking and on your toes. The other cause I see is less innate and more a manifestation of collaborative environments – people perceive this as obligatory for subtle confirmation of status. Making corrections to the work of ‘inferiors’ reminds everyone present as to their place in the food chain. Consider a meeting where a more senior peer or a manager reviews work of a less senior peer or subordinate. If the reviewer offers nothing except a “great job”, he may feel as if he’s acknowledging superiority and thus undermining his own role. The feedback thus becomes obligatory, an end rather than a mean, which creates a situation similar in concept to a scheme where police have quotas for traffic tickets given out — it’s assumed that something is wrong, and if nothing is wrong, something must be invented. This is complicated somewhat by the fact that there is probably something that can be improved about any suggested process, piece of code, idea or anything else, just as it’s safe to assume that there’s always somebody speeding somewhere. As such, there is always a justification for suggestions for improvement or constructive criticism. But, the fact that just about anything could be improved does not necessarily imply that these obligatory suggestions amount to actual improvements. Often, they’re simply time wasters and can even diminish the idea. This is because if the criticism is obligatory, it may not be well thought out or justified – the criticizer may be grasping at straws to assert his authority. I believe that there are some “tells” as to when this is occurring. If a 10 page document is submitted, and the reviewer offers 2 or 3 criticisms of the first page and then says the rest is fine, this is probably an obligatory criticism. What most likely happened is that the reviewer read until he or she found a few things to express opinions about and then stopped, since the mission of reinforcing authority was accomplished. Another such tell is criticism that misses the point or some obvious fact, for obvious reasons. And then, there is vague or ad hominem criticism — suggestions that the presenter is not up to the task or hasn’t been around long enough to understand things. To go back to my narrative, I began to see this in action intuitively, pick up on the tells, and manipulate the situation to my advantage. Perfunctory criticism can be ferreted out by inserting a few false flag mistakes early on and allowing them to be corrected so that the idea can be discussed in earnest while placating those seeking reassurance. Having read about my own story (and probably either empathizing, as a young developer or remembering back, as a more experienced one), it is worth asking if this is a problem, or if it is simply the way of the world. To that, my answer is “both”. The practice might have some nominal use in keeping people honest and humble, but it has a side effect that outweighs that benefit, in my opinion. 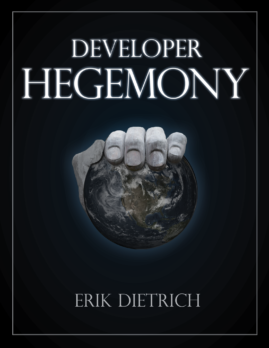 It promotes a culture of “tenure over merit” and amplifies the “Dead Sea Effect”, wherein talented new developers tend to leave a company quickly and less enthusiastic and ambitious developers stay around and grandfather into roles of authority. Bruce Webster talks about the role of a frustrating, apparently external, management structure in bringing this phenomenon about and Alex talks about the sense of no longer being able to offer value. Obligatory reviewers short circuit and amplify the Dead Sea Effect by making the frustrating management internal to the group and by setting the “value apex” low right from the start. Talented new hires are more likely to be quickly discouraged with obligatory criticism being directed toward them to reinforce status that reviewers have and they don’t. I’ve spent a considerable number of words explaining a problem as I see it and an ill-advised ‘solution’ I came up with years back and subsequently discarded, so I’ll offer some thoughts on solutions to this problem. For the shorter tenured, presenter/review-ee worker, there is no entirely self-deterministic solution, but you can improve your odds of success and minimize frustration. The most important thing to do, in my opinion, and the solution that I’ve ultimately adopted is to be extremely well organized and prepared. As you work on your proposal/design/code/etc, document not only what you do, but what other approaches you considered and discarded. If you’re writing actual code, make a list of each class and method and write down its purpose for existence. Organize and format these notes and email them out ahead of the meeting or bring them with you. The effect that this has is to counteract the obligatory objections by showing that you’ve considered and dismissed them as solutions. Obligatory, as opposed to serious or well-reasoned, objections tend to be off the cuff and thus likely to be the same thing that you’ve considered and dismissed, so having an immediate, well-defended answer serves not only to move the review along more quickly to relevant matters, but also to discourage status-seeking reviewers from testing these waters in the future. After all, making obligatory suggestions for modification only works to reinforce status if the attendees of the meeting perceive the suggester as right. Getting burned by a few volleys knocked quickly and decisively back into his court will make the status-seeker lose interest in this as an opportunity for grandstanding. This practice has other indirect benefits as well. Getting in the habit of always justifying one’s decisions tends to make him better at what he does. If you’re mentally justifying every class and method that you write, I would argue that you’re a lot more likely to have a good design. And, your preparation makes others more effective as well. Thoughtful reviewers will be able to focus during the allotted time on things you hadn’t considered already and make the meeting more productive, and even the status-seekers will at least learn to come more prepared and probe deeper, if only for the purpose of not being shown up (in their minds). If you’re running a team or a department and have the authority to dictate review policy, I would suggest a few different ideas. First and foremost, I would suggest offering a forum where more junior team members can present without any feedback or criticism at all. This need not be on a production piece of software – but given them some forum to present and be proud of their work without constantly needing to defend it against criticism. People feel pride in their work, for the most part, and getting a chance to showcase that work and feel good about it is important for team morale. Another strategy would be to have a pool of reviewers and to let the team members choose who conducts the reviews. Keeping track of who they choose provides valuable feedback. I’d wager dollars to donuts that the status-seeker reviewers are rarely, if ever chosen, with developers selecting instead those from whom they can learn and who will make their work better. Of course, they might choose a reviewer who rubber stamps everything, but even that is valuable information to have, as you can talk to that reviewer or else choose a different reviewer. A third option would be to create some sort of appeals process involving proof of concepts or other forms of ‘proof’ of ideas. If a developer submits a solution using a design pattern, and the reviewer happens not to like that pattern, don’t let that be the end of the discussion. The developer should be given a chance to create a demo or POC to show, concretely, the benefits of using the pattern, or perhaps a chance to cite sources or examples. This serves to create more of a meritocracy than a dictatorship when it comes to ideas. In the end, one might make a good case that the new developers are wrong frequently enough that stunting their enthusiasm might be good for them, particularly if they’re cocksure about everything. A bite of humble pie is good for everyone from time to time. However, with that line of argument, a fine line emerges between appropriate, periodic humbling and the systematic stifling of new ideas and jockeying for influence. The more that obligatory criticisms and decisions by fiat take hold, the more they are reinforced, to the detriment of the department. I think that it’s of vital important to eliminate contributors to this type of environment to have an efficient team staffed with self-reliant and capable developers, whatever their experience levels may be.